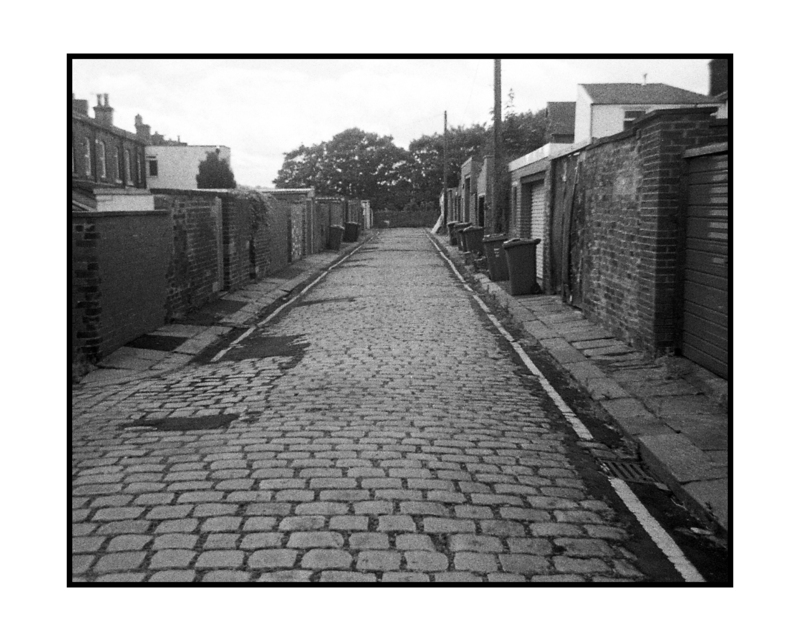 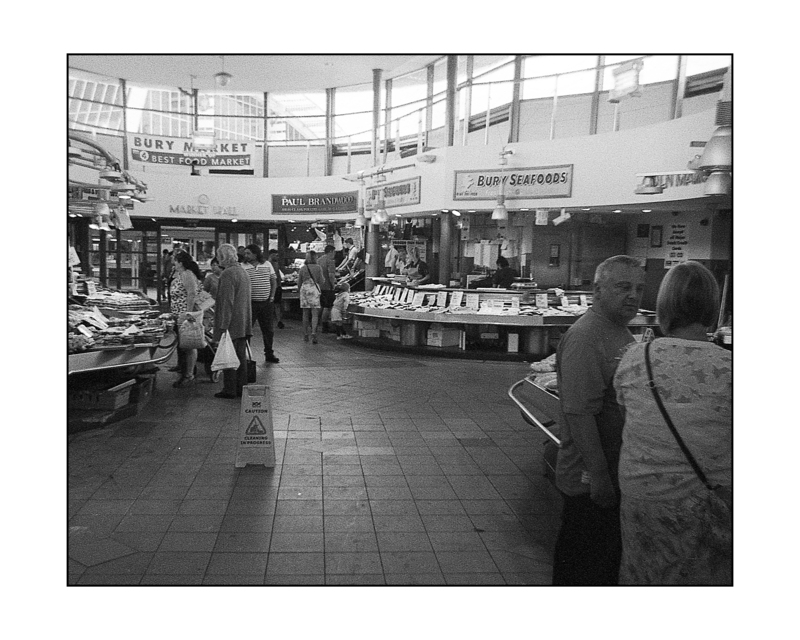 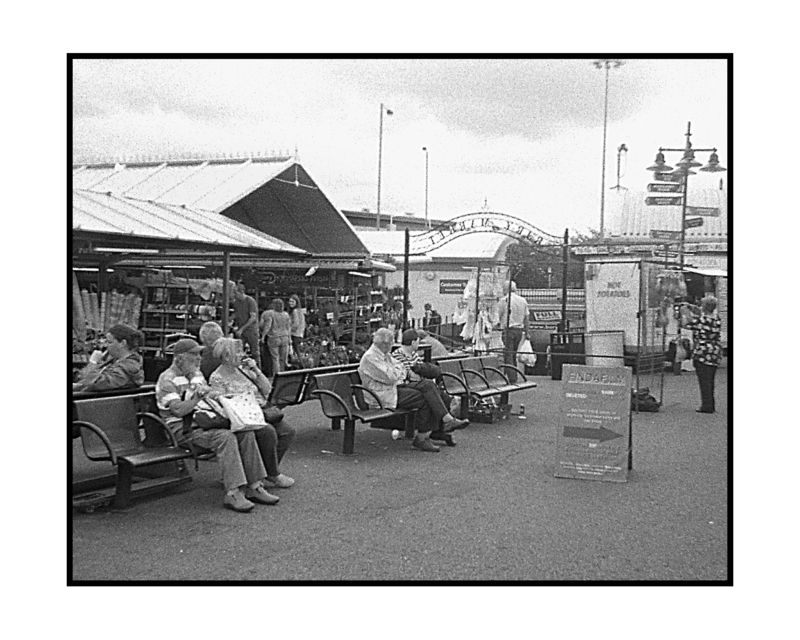 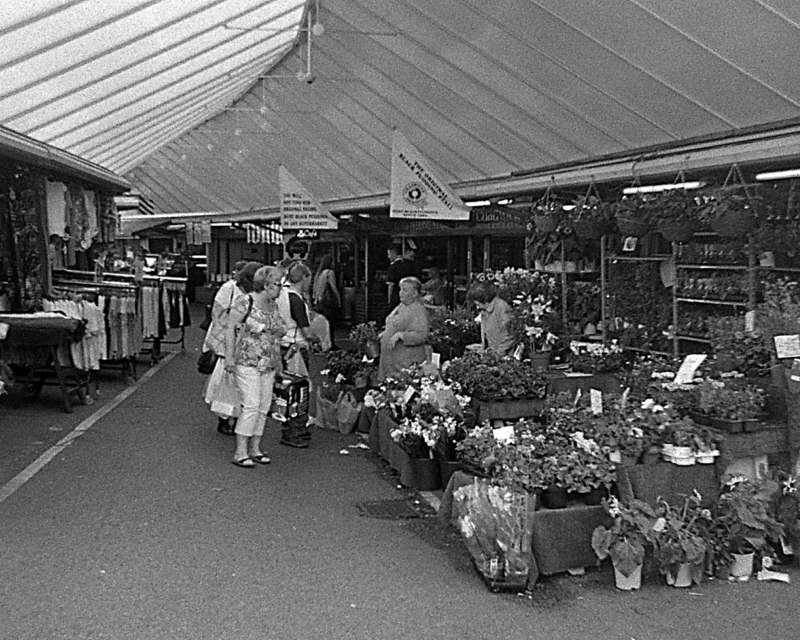 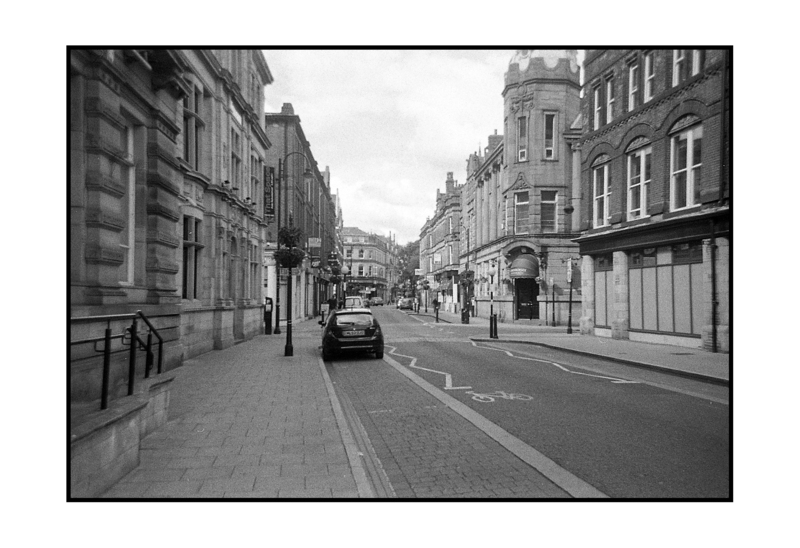 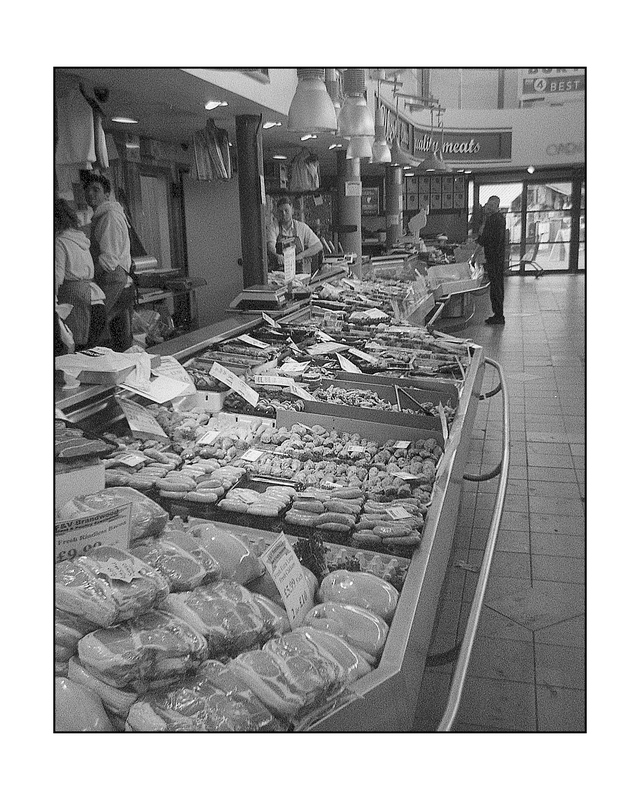 Pictures taken on a disposable plastic black and white film camera in Bury, an industrial town in the North of England. 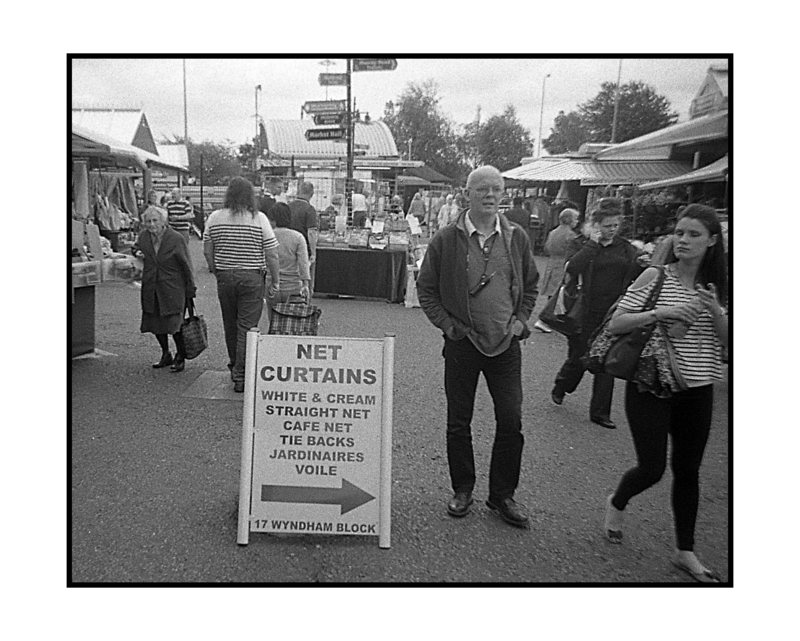 Image quality is poor, but it seems to work with the subject. 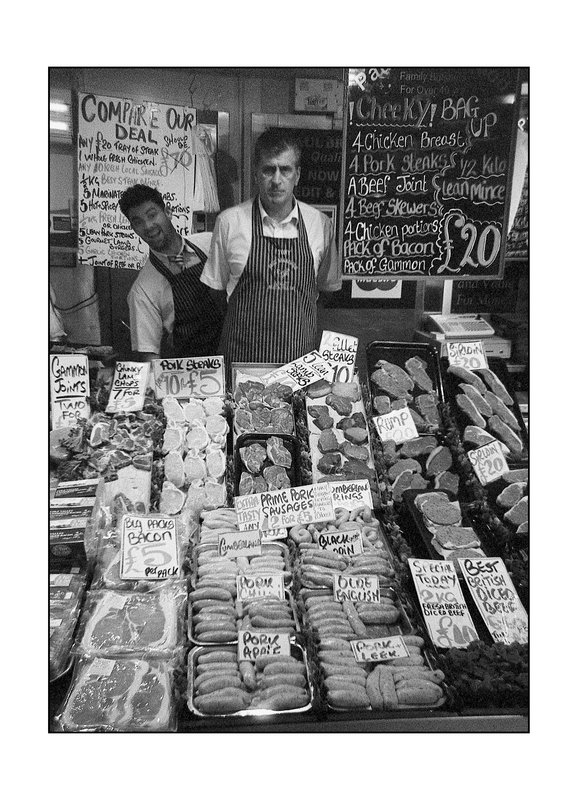 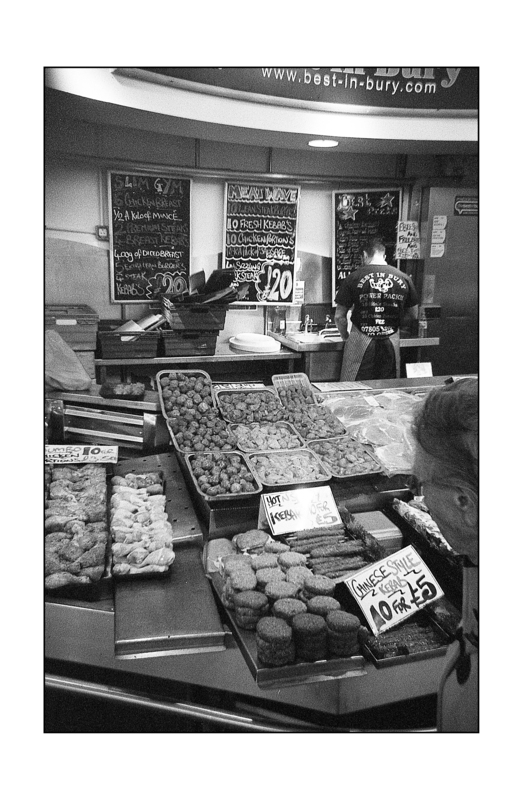 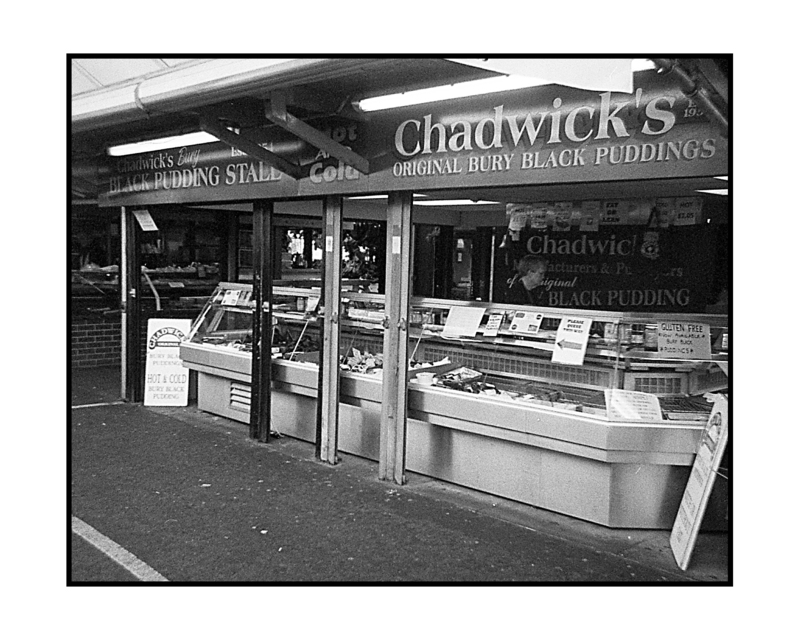 Bury is nationally known for its market and for the black puddings, a concoction of blood, salt and fat that is one of the world's great culinary treats.